I find the fact that so many vibrant citrus fruits are at their peak in the dark, dead of winter quite counterintuitive, and their January market appearance nearly always seems jarring; it takes me by surprise. By February, I start to understand. It just seems so odd to grasp those colorful orbs with black-gloved, tact-less hands. Even if it’s cold and cloud-covered outside, when I make my way home with a bag full of these treasures, I swear they radiate a subtle heat. Granted, it’s just my excitement that keeps me warm; I’m not naïve. Nonetheless, their addition to the fruit bowl is always welcomed. Their almost neon hues turn the whole kitchen a-glow. With all of this beauty, it’s hard to believe that, when I was young, I actually had a severe aversion to that dimply skin and pulpy flesh. It wasn’t the taste that bothered me, it was the texture, the sticky juice. The intricate segment structure and powerful floral aroma was too complex for me to fathom, and I was put off. Don’t get me wrong, this wasn’t like an episode of a strange TLC show. They didn’t send me hiding under couches or screaming indoors, but I did try to avoid physical contact with them when possible. Living on the East Coast, I was always spoiled with the freshest seafood, but I would have to ask my mom to spritz my Ritz-topped haddock and Ipswich clams with lemon, something very uncharacteristic of a self-proclaimed “big girl.” I held my breath as I squeezed fresh fruit for bright marinades for summer grilling adventures. A stray seed in my salad made me trash the rest. The only exception was clementines. They were the perfect for my little hands. I would plow my way through those rickety wooden crates. Each one somehow seemed more satisfying than the last, until my mother would cut me off so I wouldn’t burst. While the above is no longer an issue for me, and I don’t go through a day without slicing through a lemon, some winter citrus fruits still rarely take a space in my grocery basket. Diminutive kumquats are more piquantly sour than the worst of those sugary gummies I’d only eat on a dare. Mandarin oranges will always connote “fake” and “canned” to me due to their syrupy appearance on many a bakery whipped cream cake in the 90s. While conventional oranges (and especially their zest) will sometimes make an appearance in my dishes, I never grab one for snacking, passing them over for other options, which, often times, are out-of season. And now, those clementines remind me of a time of too many stomach aches (mom was right). 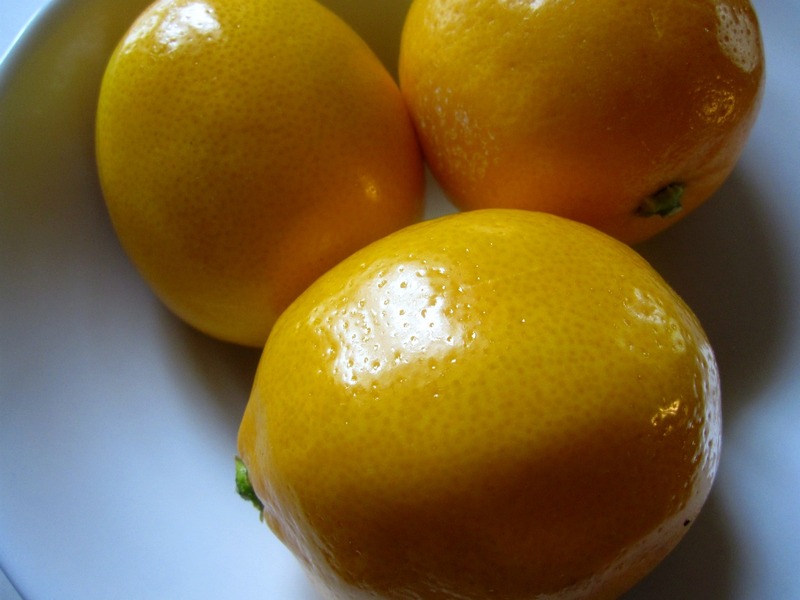 It should be obvious, then, why my favorite winter citrus fruit is the meyer lemon. Blood oranges certainly are the most beautiful, and I am smitten by Sarah’s (one of my favorite bloggers) fascination with them (exhibit A, exhibit B, and exhibit C). But I am enamored of meyer lemons. I refuse to call them orange-like, biology be damned. Their acidic flavor is tame but lasting, ultra-sweet but present. They’re wonderful in raw savory applications, and a splash of their nectar suddenly makes that pungent vinaigrette a little sweeter. But their candy-like flavor and concentrated zest make already-delicious lemon desserts that much more smooth, more nuanced. 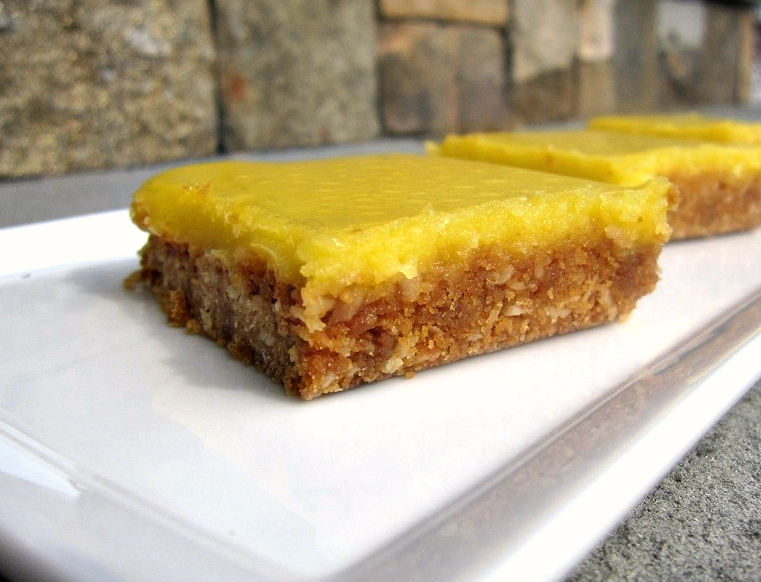 I probably shouldn’t have added meyer lemon to these Lemon-Lime bars. They were innocent little lemon bars — the treat in the bakery case I will almost always glance over without interest. For me, they’re always either too sweet or too sour, too dry and grainy or too slimy. Their buttery shortbread bases often seem wet under the weight of the pungent curd. I could have left them alone and gone forth with the recipe as written, making a dessert that I could, for once, eat with restraint. But no. I devoured these babies. I had one for dessert after lunch and after dinner. Heck, I even decided breakfast needed dessert. No, I shouldn’t have added Meyer lemon. While the recipe calls for conventional lemons, I implore you to use meyer. At your own risk. I made some other tweaks to temper the sweetness and my version is below. 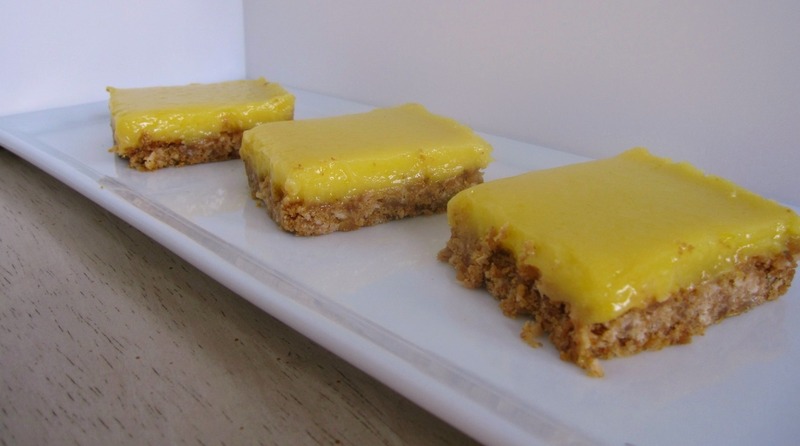 Since the curd is first cooked on the stove, then baked briefly with the base, it’s smooth and more custard-like than most lemon bar toppers. It’s tangy, but rich; vibrant but mellow with the sweet, sweet meyer lemon. The curd sits pretty atop a graham-coconut base that is thick and makes its crunchy presence known. It’s integral to the finished bar. These Meyer Lemon-Lime Bars are the perfect treat with which to welcome spring even when it’s weeks away. They acknowledge winter with their use of the seasonal beauty, but their perky flavor and color point to the slightly warmer breezes on the way. Preheat the oven to 300 degrees F. Butter the sides and bottom of a 9×13 inch baking pan. On a parchment-lined baking sheet, spread out the coconut and toast for 7-10 minutes until it’s golden brown. Toss the coconut and return to oven for 3 more minutes. In a large bowl, toss together the graham cracker crumbs, coconut and brown sugar with your hands until combined. Pour in the melted butter and use you hands to combine. Turn the mixture into the pan and press the crust into an even layer on the bottom and up the sides of the pan. Put the crust in the refrigerator for 15 minutes, then bake for 10 minutes or until golden brown. Cool the crust completely before adding the filling. Put the egg yolks, eggs, sugar, lemon and lime juices and zests in a large metal pot. Whisk until combined. Attach a candy thermometer to the pan and cook, whisking constantly, over medium heat until the mixture registers 180 degrees, about 10 minutes. Off the heat, whisk in butter and cream. Pour the curd through a fine-mesh strainer into the crust and spread it in an even layer with an offset spatula. Bake for 8-10 minutes until the filling is just set. Transfer to a wire rack and let cool to room temperature. Wrap the pan in plastic and refrigerate for at least 2 hours before cutting into squares. The bars will keep in the refrigerator for 2 days. Those lemon-lime bars are stunning. I actually have an obsession with Cara Cara oranges. I never get very excited about a plain-old naval orange, but these are so much better. They have gorgeous pink flesh and a more interesting flavor. I load my cart with them whenever I see them. I can somewhat identify with your childhood aversion. I didn’t like oranges when I was little solely because I found them so difficult to eat with all of the membranes that got stuck in your teeth. I LOVE lemon bars. MMM, i’ve been meyer obsessed for the past few years!! be sure to buy a bunch and freeze some juice to make meyer lemonade in the summer (http://bit.ly/wzEhTK)! i was never a huge fan of lemons until I tried these, now I can’t get enough :) these bars look fantastic, and I love your tweaks! What a great idea! I love that recipe…is it summer yet? These look great! I just made blood orange citrus bars last weekend and they reminded me how much I love lemon (and all citrus) bars. Perfect balance of tangy and sweet and buttery. your writing is captivating and these bars are beautiful. I suddenly want to eat a meyer lemon, whole. haha. Thank you for the nice shout out! I appreciate all your blog love. These look so good. I love lemon-y treats. And I agree, your writing is captivating. 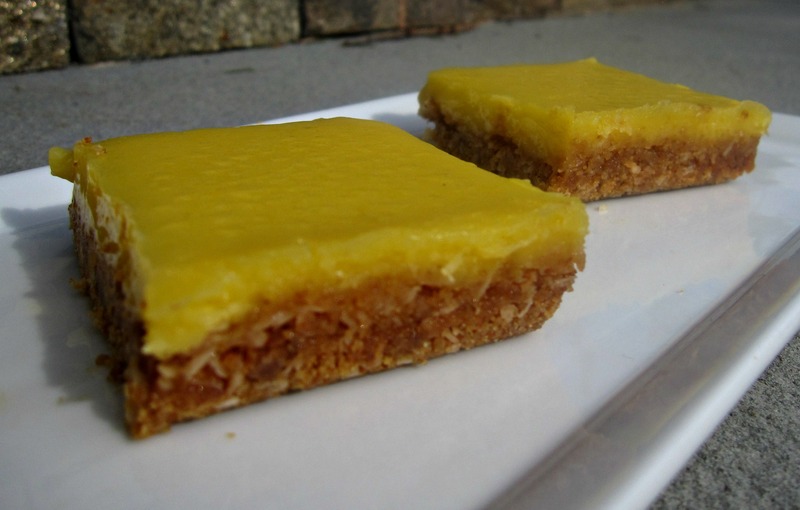 I love lemon bars but haven’t them with meyer lemons yet. These look gorgeous, and oh-so-perfect for the coming warm weather!